Air New Zealand is poised to begin its first-ever night flights in and out of Queenstown Airport in July, in time for the ski season at the popular South Island destination. The night flights, at present are only planned between Auckland and Queenstown with A320 aircraft, remain subject to regulatory approval. Air NZ has decided against trans-Tasman night flights for the time being given the Queenstown flights connect to international flights from its main hub in Auckland. We believe our proposed Queenstown schedule will be a game-changer for international travellers in particular. Overall, the night flights will help grow Air NZ's capacity between Auckland and Queenstown by 15 per cent in the financial year beginning July 1. Queenstown Airport is spending $NZ17 million ($15.7 million) to widen its runway and install new lighting to allow for the new flights after New Zealand's Civil Aviation Authority in 2014 approved the safety case for the flights provided the airport infrastructure was properly upgraded. Individual airlines also need to meet set criteria relating to fleet and operating procedures. Air NZ chief flight operations and safety officer Captain David Morgan said his airline had been working with pilots, safety teams and its unions to finalise a thorough safety case that would be submitted to the regulator in the near future. Air NZ chief sales and commercial officer Cam Wallace said the night schedule, which includes a last departure for Auckland at 7:30pm in winter, would provide better choice and flexibility for travellers. 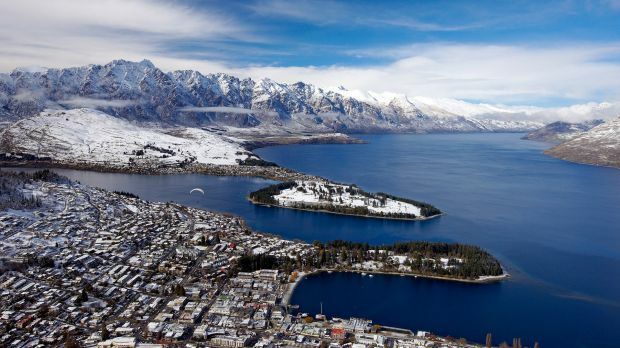 "We believe our proposed Queenstown schedule will be a game-changer for international travellers in particular with same day connections as well as reduced connection times both to and from a range of destinations across Australia, Asia and North America," he said. The new flights will go on sale by early next week.